The next novel has been printed! On Saturday I finally finished the first draft of my next novel. It needs a fair bit of work to whip it into shape, but from this point on I’m editing rather than first-drafting. I feel more than ready for this change of tempo – it uses different parts of your brain and I am kind of looking forward to it. I say ‘kind of’, because that first read through is a terrifying prospect. What if it’s rubbish? What if the plot doesn’t hang together and the prose is dull and lifeless, and the characters are unlikeable and inconsistent? When I am writing a first draft I try to keep forward momentum going at all times, and never go back to edit. If I write something which will require a tweak or addition in an earlier chapter I just write myself a note and keep going. Otherwise I know I would never reach the end. This method works for me but does mean there can be quite a lot to tackle in the first edit – the one I must do before I let anyone at all read it. Anyway, just now I printed off the entire novel. I will read it through with a red pen in hand and scribble notes as I go. Then I’ll get going on the edits. Deadline is Christmas. Wish me luck! Endings are tricky beasts, aren’t they? Beginnings are dead easy. I’ve sat in writing classes and written dozens of beginnings, usually with no previous idea of what to write, and often done within a six-minute time limit. Some are better than others, but most could become the start of a story or even a novel. But endings are another matter. Short story endings need to neatly finish off the story, include the twist, or link back to the beginning, or show the ‘universal truth’ your story is trying to illustrate. Novel endings need to tie up loose ends, leave your characters in a good place, and satisfy your reader. And they mustn’t end too soon – I think novels need a winding-down scene or two, where the main action has finished, to allow the reader to say their farewells to the characters they’ve lived with for the past few days or weeks. 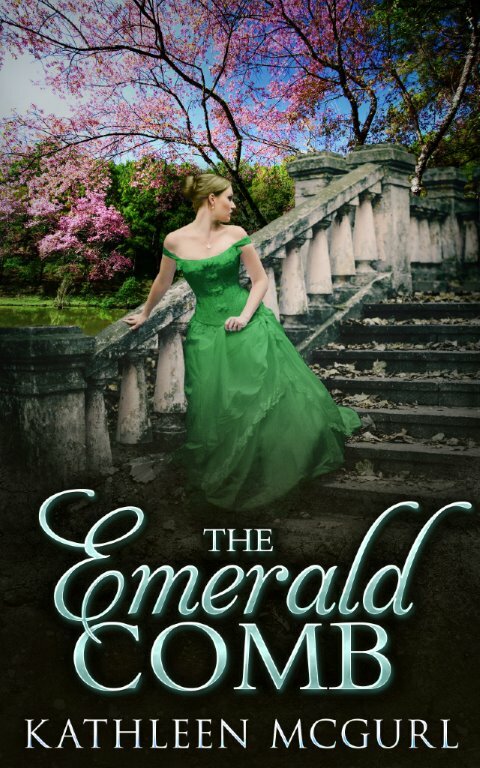 I was looking through the reviews I’ve had for my novel, The Emerald Comb, earlier today. It’s been well received with (to date) 48 four and five star reviews, but there are a handful of three, two and one star reviews as well. The one thing the lower rankings have in common is that they all criticise the ending. They say the ending seemed rushed, and that things were left not quite resolved leaving the reader feeling perhaps disappointed or frustrated. Some of the other reviews praise the ending for being realistic, and one reviewer stated she was glad I went for the ending I did, rather than the more predictable alternative which some might have expected. There’s someone who really ‘got’ what I was trying to do! You can never please everyone, but it has made me think hard about the ending I had in mind for my current work in progress, which is another tale of genealogical mysteries. How can I stay true to my themes and yet be careful not to disappoint readers? I think there’s a fine line I need to tread here. Hope I can get it right! I know The Emerald Comb has only been published a month, but a couple of reviewers have mentioned they’d like to see a sequel. I wrote the book as a standalone novel, with absolutely no intention of writing more about these characters, but now I’m thinking hmmm, what if I took other characters from Katie’s family tree, and gave them secrets to hide, which leads to Katie having another mystery to solve? I pondered this on the drive to Mum’s today, and by the time I got back, had the makings of a plot buzzing around my head. It’ll be fun to revisit some of my characters. I do feel I know them pretty well. I’ve never tried writing a sequel. I know there are pitfalls – you need to make sure the book works for people who haven’t read the first one, also ensure if someone reads book 2 and then book 1 you haven’t given away the surprises in book 1. It’ll be a challenge, but I think I might have a go. Have to finish the two writing projects which are already underway first, though! What do you think – have you written novels with sequels? How did you find it? As a reader do you enjoy sequels? Should I go for it? You hear so much about it. Writers complaining they are blocked, they cannot progress, they’ve been stuck on the same scene for weeks and just can’t seem to get it written. Writing it is like wading through treacle, and every time they try to write a bit more they end up getting nowhere. I know the feeling. It is like repeatedly banging your head against a huge boulder, trying to smash the rock with your head so you can get past it. I’ve been there and done that, it’s not nice. But I have found a solution. Don’t try to break through the blockage. Go around it instead. That scene you’re stuck on – leave it. Just leave it half-written. Write something else instead – the next scene, the next chapter, a bit near the end of the book which you’ve had in mind for ages. Or if blocked on a short story, start another one instead. New characters, new problem, and see where you get to with that. You can always come back to the unfinished scene/chapter/story later. You might then find it is easy to finish. Or even that it is no longer needed and you have thought of a better way of getting your characters where they needed to be at the end of that difficult scene. Writing novels is all about forward momentum. But if there comes a time when going directly forward is not possible, you’re blocked, then deviate slightly to the left or right and find a new forward.